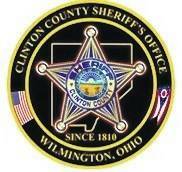 WILMINGTON — The following information comes from incident reports provided by the Clinton County Sheriff’s Office. All those arrested are presumed innocent until possibly found guilty in court. • At 9:48 p.m. on March 20, a 66-year-old Wilmington man advised on March 14, he was scammed out of $2,700 through an online scam. • At 11:09 a.m. on March 21, a 64-year-old Chester Township male reported he had received a call from a Tennessee phone number posing as Publisher’s Clearing House. The victim advised the caller requested he pay $7,000 in taxes on a $1.2 million prize. When the victim didn’t pay, the caller requested him to purchase three gift cards amounting to $1,250. • Deputies received a report of a theft at the 500 block of Elm Street in Martinsville at 1:48 p.m. on March 22. The report lists a red table with chrome lip and metal legs, and a red cushion chair with chrome metal legs were stolen from a 73-year-old male resident. The incident took place on March 20. • At 3:29 a.m. on March 23, during a traffic stop on Davids Drive for a license plate light violation and marked lane violation around U.S. 68 North and Gurneyville Road in Liberty Township, suspected narcotics were located. • At 12:27 p.m. on March 23, deputies arrested and charged a 39-year-old New Vienna female with alleged resisting arrest, drug abuse instrument possession, and reckless operation after deputies responded to several accidents on South Beechgrove Road in Adams Township. Deputies located four used syringes and a black plastic box containing a bag with white residue. • Deputies arrested a 22-year-old Chester Township male for criminal trespass at 12:06 a.m. on March 24 at a Hormell Road residence in Chester Township. According to the report, there was an ongoing dispute between the suspect and a 41-year-old male resident — the suspect’s father. The victim wanted him removed from the property and not return.